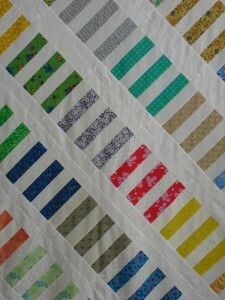 This is how I used my “Stripe” blocks. By adding 4 of my own, I had enough for the “en pointe” setting. My daughter fell in love with it, so it will be her birthday present in May. 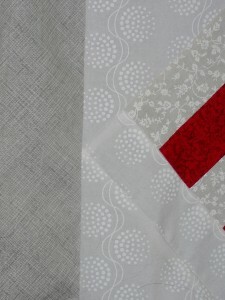 My border is a new Carolyn Friedlander fabric; I had won a “giveaway” of her fabrics in a mini-charm pack and that led to a yardage of this fabric, which I think is perfect. Now it will go to my long-armer for her magic touch. This quilt is wonderful! A nice lay out for sure and I can see why your daughter Loves it…it is so fresh looking!!! 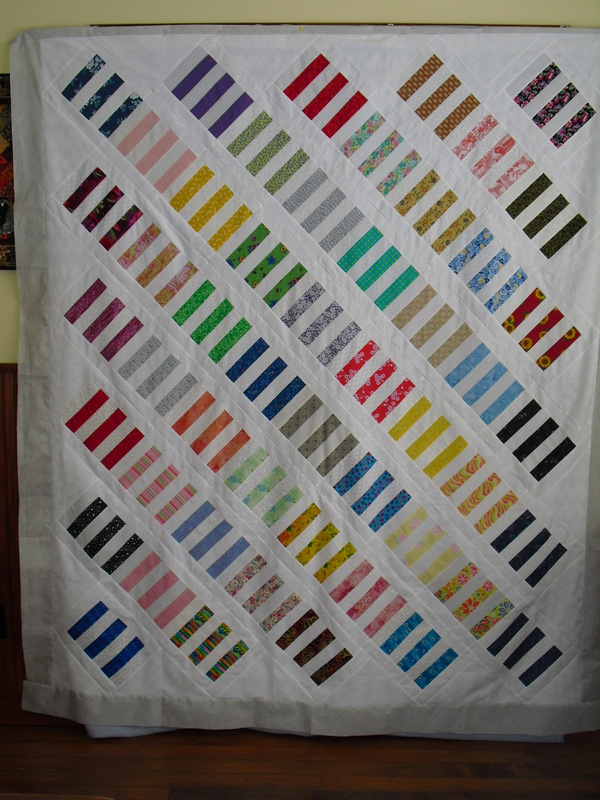 Wonderful quilt design – I love it! Now that I have seen your design, I just might have to make more blocks for a quilt for myself. I can see why your daughter called dibs on it. innovative setting. I’m amazed and delighted at how such diverse fabrics all sing together! It’s a fabulous setting. I love it! It’s so contemporary and will be in style for a toddler or a college student. Excellent! Great layout. I love it too. Totally understand why your daughter claimed it!